Passive income is not money for doing nothing but money from an initial effort that continues with little extra effort. Anyone can build passive income by investing in themselves to learn how others make money outside their normal careers. Creating passive income can lead to more freedom in life, early retirement or just more money, if that’s your goal. Everyone dreams of find a way to build passive income, but not many people actually know how to do it. 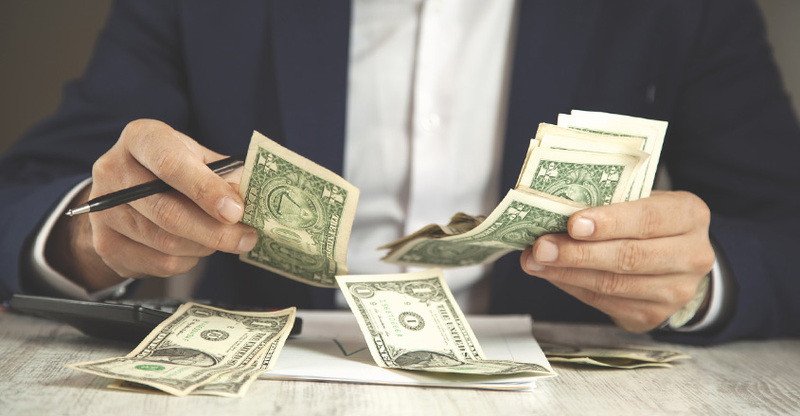 If you want to retire early and enjoy your post-retirement life without worrying about your financial situation, you need to build passive income streams that you can depend on for a lifetime. Otherwise, escaping the 9-to-5 grind might only remain an elusive dream. Passive income, as the term indicates, is any income that you earn without having to actively work for it. It does not, however, mean that you do not have to put in any effort whatsoever. It is what many experts call a “lagged income,” which means you put in the required effort initially and then reap the rewards for a long time. Your day job or profession is your active source of income, which is tied to your time. If you work, you make money. Active income is how America works and how it became great, having lots of hard workers and the most incentive to work hard. But there is also something to be said for increasing your wealth via making smart decisions and this is where passive income comes into play. Passive income is not tied to your time. Once you put in the time and effort required to set up a passive income stream, it continues to make money for you for a long time after, even perpetually. It is akin to planting a tree. You have to plant it in the right place, mulch the base, and water it regularly. If you do those things this tree will offer you shade and fresh air for decades. Why create passive income? Because it can change your life. A passive income source greatly reduces your dependence on a weekly or monthly paycheck. If you lose your job or have to take a long break from work due to an illness or injury you do not have to worry about making ends meet. You have a safety net to fall back on. Most people spend a significant portion of their paycheck on debt repayments – credit cards, mortgages, auto loans, and more – and keep making those payments for years. Too many people carry their debt burden well into their retirement years. With a passive income you can afford to save more every month and pay off your debts faster. You can get rid of your debt burden before you retire and enjoy your post-retirement life peacefully. This is the most important reason why people are interested in earning passive income. If you set up multiple streams of passive income at a young age, you can save more money, invest it wisely, and build a solid retirement investment plan that will last throughout your life. Once you do, you can retire and spend the rest of your life doing what you like the most – reading, traveling, learning new skills, pursuing your passions, spending more time with your loved ones, and more. Let us now take a look at seven tried-and-tested strategies that can help you build a stream of passive income. There are two ways in which you can earn passive income from real estate. Invest in real estate property – If you have a considerable amount of money saved up or if you can afford to take out a loan, you can invest in a residential or commercial property. Apart from generating monthly rental income, the property is also likely to increase in value over a period of time and offer you excellent returns on your investment. Invest in real estate funds – If you cannot afford to buy a real estate property all by yourself, you should consider investing in a real estate investment trust (REIT). These trusts collect money from a number of people, invest in residential and commercial properties, and share the rental income among the investors equally. There are a number of ways in which you can create a monthly rental income without investing in real estate properties. If you have a spare room, you can list it on Airbnb and rent it out. On a variety of sites you can rent out your parking space, garage, basement, shed, RV, boat, car, bike, recreational gear (ski, surfboard, snowboard, and stand-up paddleboard), camera, and power tools. There are several companies that allow you to list your space, vehicle, or tools on their website and share the rental income with you. While it is not a steady source of income, it does not require any investment on your part either. There are several online peer-to-peer lending platforms that allow you to invest money, which is loaned out to individuals who are in need of money but are unlikely to qualify for bank loans. You can easily earn a 10% income on your investment or even higher, depending on the company you choose to work with. If you know someone who is need of capital for their startup or to expand their existing business, you can make an investment, become a silent partner, and receive a share in the profits. You can invest in stocks that pay dividends regularly. You can earn passive income in the form of annual dividends and also earn capital gains as the stocks appreciate in value over time. Index funds are one of the safest ways to invest in the stock market and earn suitable returns on your investment. They tend to outperform even actively managed funds and consistently generate good returns. The best part is that the investment is entirely passive in nature – you do not have to buy or sell individual stocks or keep track of the market conditions. All you have to do is invest a portion of your income regularly and let the fund do all the work. Start a YouTube channel and showcase your skills to the world. It could be anything – cooking, teaching music, DIY projects, movie reviews, doing comedy, or anything else you want – and make money through Google AdSense. Start blogging and monetize your blog with ads. Write an e-book or create an online course. Setting up multiple streams of passive income is one of the best ways to achieve financial independence. You do not necessarily have to make a lot of money in order to invest in passive income sources. For example, you can invest as little as $100 in a peer-to-peer lending platform and earn a handsome return on it. Similarly, you can rent out what you have – from unused space to power tools – and earn passive income without investing a dime. The bottom line is – there are solid opportunities available for you to earn passive income consistently. So, make full use of it, invest your money smartly, and eliminate the financial uncertainty from your life.